In a food reaction, the immune system reacts by releasing cells called antibodies. Foods that cause antibodies to be released are called antigens or allergens. Two types of antibodies commonly produced in response to foods are IgE (immunoglobulin E) and IgG (immunoglobulin G). Food allergies and food sensitivities differ by the type of antibody produced and the speed of the reaction. Food allergy is an immediate reaction caused by the production of IgE antibodies, while food sensitivity is a delayed reaction caused by the production of IgG antibodies to specific foods. IgE reactions generally occur within minutes of eating a reactive food and can, on rare occasions, be life-threatening (e.g. peanut allergies). Skin eruptions (hives, eczema), breathing and digestive problems are also common IgE reactions. After first time exposure to an allergen, the body remembers what the allergen “lookslike” and keeps a supply of IgE ready for immediate release if it “sees” that allergen again. Referral to a specialist is recommended in the case of serious food allergies (ie: difficulty breathing, anaphylaxis). IgG reactions take hours or days to develop, making it difficult to determine the food cause without testing. In an IgG reaction, the IgG antibodies attach themselves to the allergen and create an antibody-allergen complex. These complexes are normally removed by special cells called macrophages. However, if they are present in large numbers and the allergen is still being consumed, the macrophages are unable to remove all the complexes. The allergen-antibody complexes accumulate and are deposited in body tissues. Once in tissue, these complexes release inflammation-causing chemicals, which can contribute to a variety of diseases and health conditions. Mood/attention deficit disorders: Deposition of antibodyallergen complexes in nervous system tissues may contribute to hyperactivity, depression, anxiety, inability to concentrate and other mood disorders. There is some evidence that eliminating IgG food allergens improves attentiveness in children. Weight gain: Antibody-allergen complexes in tissue cause inflammation, which leads to fluid retention and weight gain. To fight inflammation, the body releases a chemical called ghrelin, which also happens to be an appetite stimulant. Thus, IgG food reactions can cause weight gain in two ways: fluid retention and increased appetite. WHY TEST FOR FOOD ALLERGIES? Good health has a lot to do with maintaining balance; the right balance of work and play, the right balance of nutrients in the diet, and the right kinds of foods. Undiagnosed foodallergies may contribute to symptoms and biochemical changes that eventually lead to illness. Testing for IgG reactions is the easiest way to determine which foods are causing the problem as reactions are so slow to develop, it is virtually impossible to try and figure out reactions by observing diet. IgE testing can be useful if you have unexplained reactions like hives or for uncovering allergies to inhaled particles. Reactions to specific allergens can be tested from a serum sample (which requires a blood draw). The total amount of IgE (not specific to individual allergens) can be measured with the AllerGSpot test. A high total IgE level could mean you have a parasite infection, or it could mean you have an IgE allergy to one or more foods. Saliva hormone testing is a accurate and non-invasive way to determine hormone imbalances in the body. Measuring salivary levels of hormones is important because hormones pass through saliva gland tissues before entering the saliva. Thus, it is reflective of actual tissue hormone levels as compared to blood hormones which represent hormones that may eventually get to tissue. 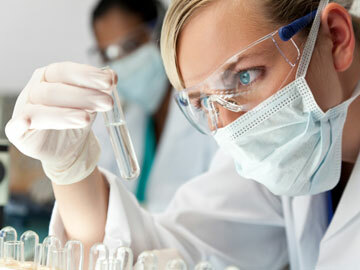 Saliva hormone testing measures bioavailable hormone levels, that is, hormones that are actually being used by tissues. Saliva collection is painless and easy to do at home, whereas blood hormone testing requires blood collection from a laboratory, and some hormones (such as estriol) cannot be tested in blood. Furthermore, with cortisol (a hormone released during stress), the stress of a needle puncture can falsely elevate blood cortisol levels. As well, melatonin (the hormone for sleep-wake cycles) and cortisol (the stress hormone) levels can be measured.